The BikeAway is the first satellite uplink motorbike in the world. Thanks to the unique “one single suitcase” concept of its LightAway satellite terminals, the BikeAway is ideally suited for broadband INTERNET access (voice, fax, data, video) and FAST NEWS GATHERING. No traffic jam with the BikeAway! 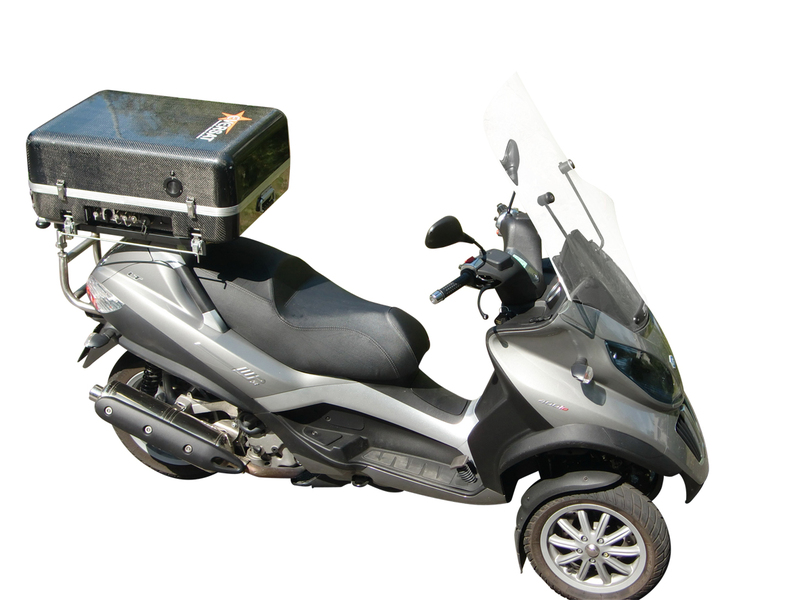 This new concept of satellite uplink vehicle is based on an Eversat LightAway suitcase integrated on a Piaggio MP3 scooter. Due to its larger front tyre track, this scooter can be ridden by car license holders. Communications up to 30 Mbps. 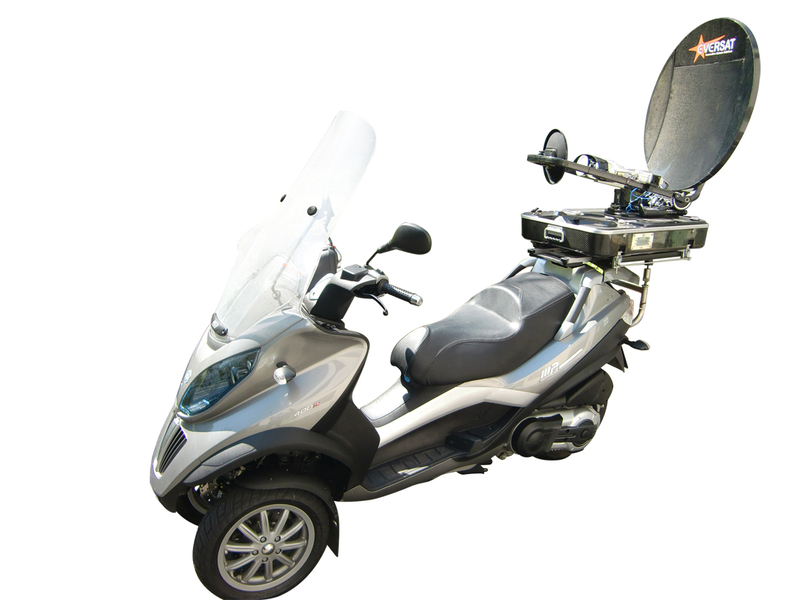 Complete satcom solution based on a motorbike. The vehicle integrates a LightAway satellite suitcase, a base band package (modem or video encoder) and a battery pack. 1 min to set up the LightAway terminal, 4 min to automatically acquire the satellite. The scooter can be ridden by car licence holders. The LightAway terminal integrated on the scooter can be uninstalled in less than 2 minutes to be used as a satellite suitcase (ideal for transport by helicopter, airplane, train or ship). Up to 3 hours of communications with the integrated battery pack.